"This will probably be my last season," Heurelho Gomes tells Sky Sports. He does not just mean at Watford. For the 37-year-old Brazilian goalkeeper who has become a firm favourite at Vicarage Road, he is almost ready to call time on a career that has brought him so much. There was the title with Cruzeiro in 2003 and four more of them with PSV. He was twice a Confederations Cup winner with Brazil, going to the 2010 World Cup and winning the last of his 11 senior caps that year. It has been some journey but it seems it will end at Watford. If Gomes is increasingly certain about when retirement will come, he is more relaxed about what it will entail and where it will take him. Having grown up on a farm in Brazil before making London his home, the return to the country of his birth would be an adjustment. "I will not be going to the farm but maybe to a quiet place," he says. "I do like the life in London though. My family has adapted well. Of course, it is going to be a big change if I go back there to Brazil but we are thinking about this as well." Goalkeeper coaching is not something he is considering. "I don't think it will be a role inside the pitch," he says. But there is a desire to stay in football. His mentoring role with Richarlison at Watford was one he enjoyed and agency work could be a solution. "I am looking at other options, also in football, but in other roles," he adds. A popular figure, he will depart with the best wishes of everyone at Watford. After a mixed time of it at Tottenham, this was where he truly rehabilitated his reputation in England - winning promotion in 2015 and the club's player of the year award on their return to the Premier League. Only the form of Ben Foster is keeping him out of the team now. "I will try to push hard but Ben is doing so well that it is very difficult to get in over him," he acknowledges. "But I am glad as well because I lost my place to a good goalkeeper." Gomes can take pride in his role in Watford's rise. This was a very different club when he arrived. "It has been a big change since I arrived in 2014 with the aim of winning promotion," he explains. "We are competing, that's the massive chance since I first came. "For example, we can see now that when we lose a game away to Arsenal we are very disappointed because we could have won over there. There has been so much change for the better and the club is going to keep growing. The Premier League is so hard. It is a competitive league and we need to be at our best all the time to compete." 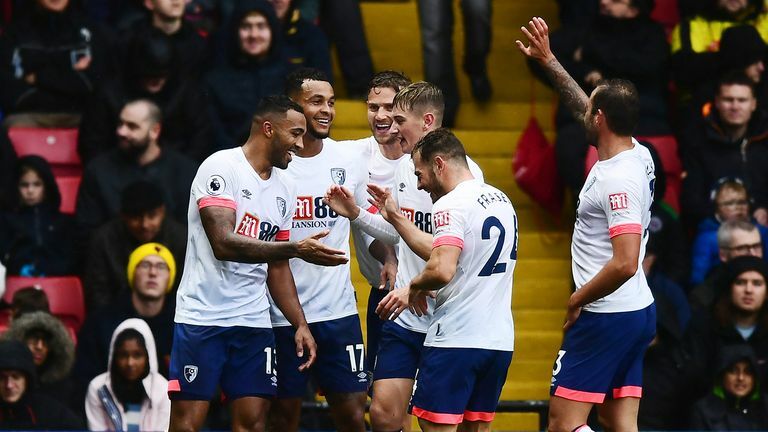 The recent 4-0 home defeat to Bournemouth underlined that point pretty clearly, but Javi Gracia still has Watford in the top half of the table - level on points and goal difference with Manchester United. The improvement in quality during Gomes' time is huge. "We have a very good squad now," he says. "Some young players and some players who are making the difference. It is pretty much the same squad as last year which helps as well. I believe that the way we are playing right now, we will start to attract players as well." Heurelho Gomes recently gave his thoughts on how perceptions about Brazilian goalkeepers have changed over the years. He singles out Roberto Pereyra as a special talent and points to the decision of Abdoulaye Doucoure to stay at Watford despite interest from elsewhere as evidence of the club's growth. "He had the option to go in the summer but he chose to stay," adds Gomes. "That shows the ambition of the club and that the players are happy here as well." So how far can Watford go? Is European football a realistic target for the club this season? "I don't know about Champions League but we can go for a European place," he says. "Of course, we are pushing to finish as high as we can but there is a possibility of finishing in a place that will give us the chance to compete in Europe. That would be great for the club." It would be great too for one of the biggest characters in the club's renaissance. He may be a bit-part player these days but Gomes' role in Watford's revival will not be forgotten. "I am not playing at the moment but my life here I am enjoying so much," he says.